Mutually Agreed Norms for Routing Security (MANRS) – which is supported by the Internet Society – aims to help network operators around the world to improve the security and resilience of the global routing system through four actions that include filtering, anti-spoofing, coordination and support for global validation. It currently involves over 85 organisations encompassing nearly 200 Autonomous Systems around the world, including some of the largest ISPs. If you’re interested in signing-up to MANRS, more information is available on the MANRS website. 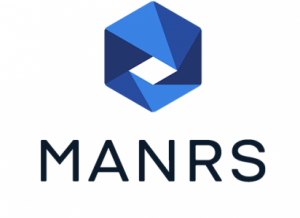 Show Your Commitment To Routing Security - Join the MANRS Initiative! Show Your Commitment To Routing Security – Join the MANRS Initiative!